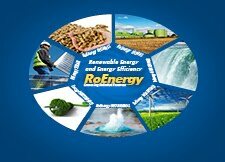 "Smart grid, smart meter" is the theme of this conference, dedicated to the energy sector in Romania radiography and determining the most suitable solutions to eliminate various problems. Participants in the debate will try to prove that, by applying the latest ICT solutions, you can build "intelligent" network with numerous benefits. These include increasing power quality and energy efficiency, improve data security, energy optimization and better management at electricity distribution networks. • Registration of participants 09.00-09.30. Welcome Coffee. Participants: approximately 100 people, members of parliament, representatives of the Government, the Ministry of Energy, SMEs and Business Environment of subordinate agencies and public services by companies operating in the energy field.